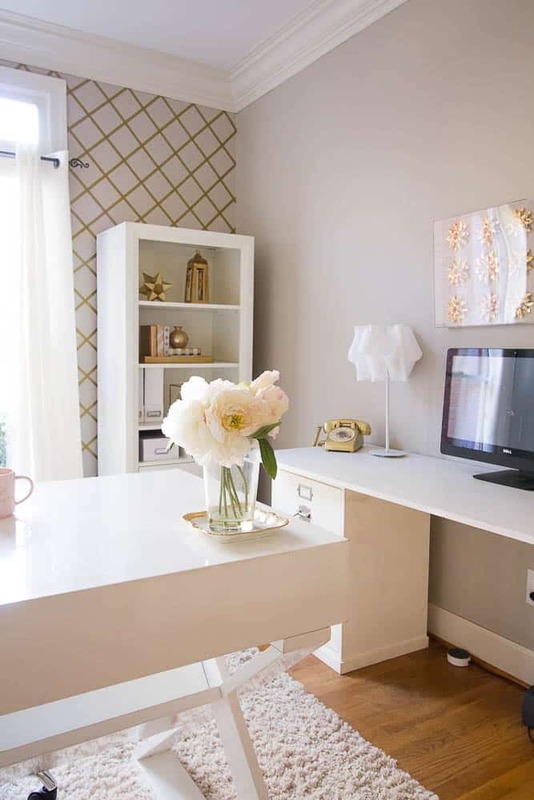 It is finally time for my One Room Challenge-White and Gold Home Office Reveal where I took our old home office with a mixture of odd pieces of furniture and transformed the room into a beautiful white and gold home office. I created DIY Wallpaper with Tape for my accent wall and painted all of the office furniture. I recovered my original office chair with fur to save money. 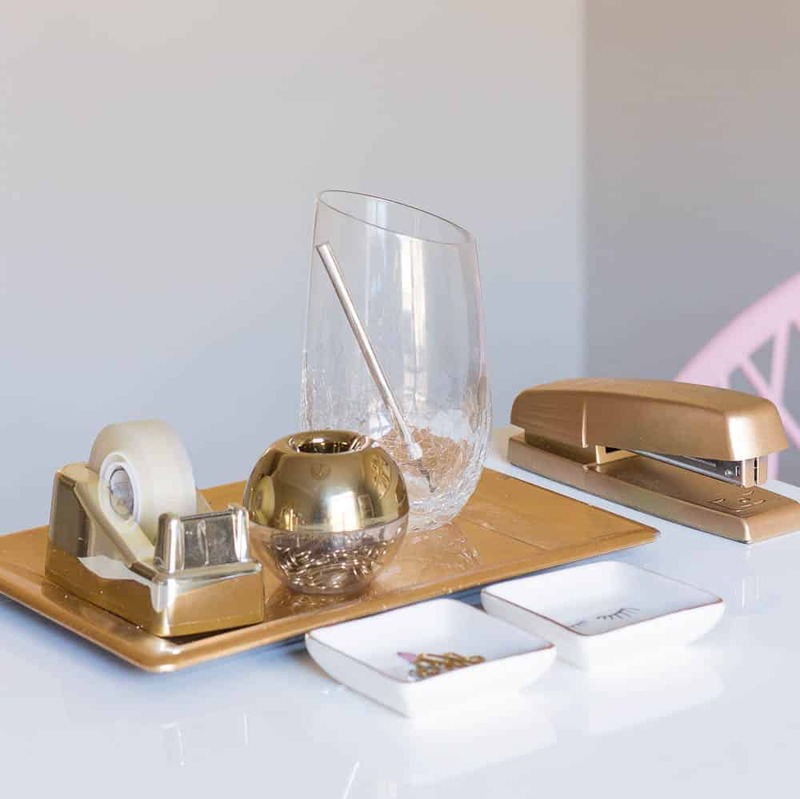 I added a stunning gold leaf chandelier and gold accessories for a beautiful white and gold home office. 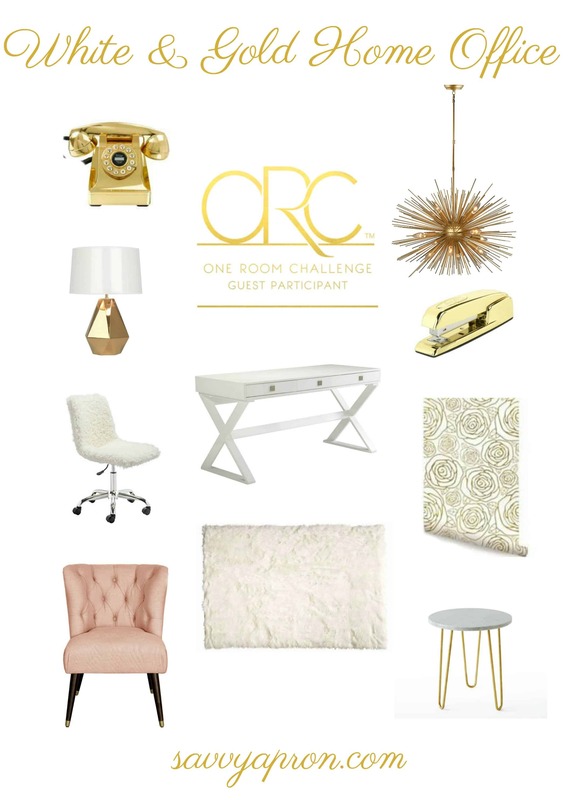 I just want to remind you first that the ORC or also known as the One Room Challenge is a challenge hosted by Linda from Calling It Home and House Beautiful. Over 150 designers and home bloggers will transform a space and show their progress every Thursday and the final reveal on November 16th. We also received some very exciting news last week. Andy and Candis from Old Home Love will be flying to visit the winner and spend the day with them. I love watching them so this is big news! You will also want to check out all of the participant’s rooms because you will be blown away by the transformation of each room. If you want a recap, you can visit Week 1, Week 2, Week 3 and Week 4. 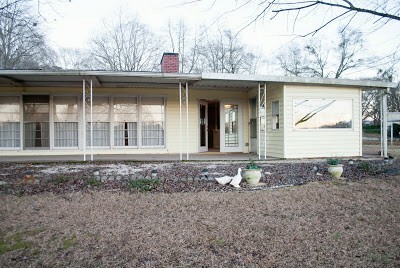 This is the way the home office looked before the makeover. I actually kept many things in this room because it was in perfectly good condition but needed to be updated. This room was a dining room when we purchased the house 15 years ago. 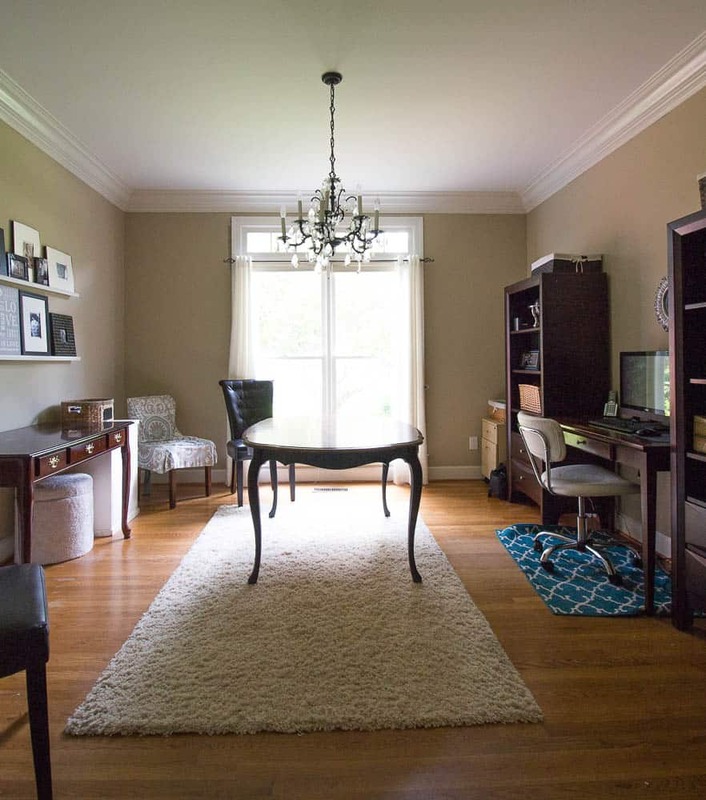 We never used the dining room so we turned it into our home office 5 or 6 years ago and it was the best decision for our family. I loved that my kids were always close by when they were working on their homework or playing on the computer. My kids are growing up and they are never at home so it is time to make this office a space for me. I wanted it to look elegant but also be a functional space. I repainted or recovered most of the decor in the office. The items that are new are my amazing light fixture, blush corner chair. thrifted desk, shadow box art, and a few accessories. I wanted to wallpaper one accent wall but I have wallpapered before and I know if I go through the trouble to hang it, I will have to live with it for awhile. I like to change things up fairly often so I decided to do a faux wallpaper treatment. I had seen where some people have used a Sharpie pen for this but I decided to try to use decorative tape and I am very pleased with the results. I did this wall treatment 6 weeks ago and the tape is still very secure but I can pull it up if I need to. 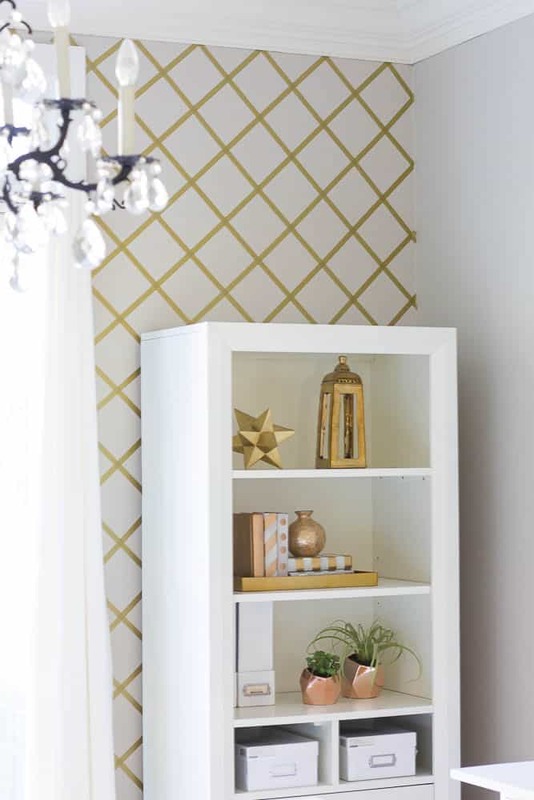 I have a tutorial on the blog for the DIY Wallpaper with Tape. I painted the bookshelves with a Homeright paint sprayer and my spray shelter. 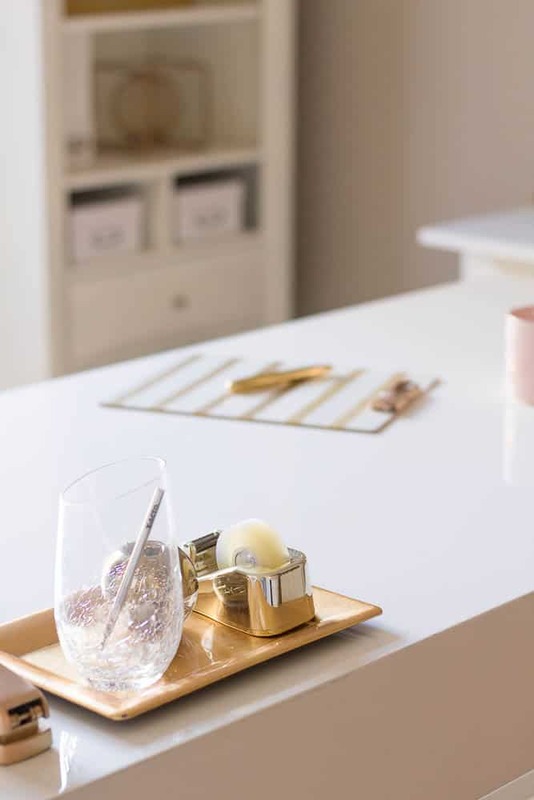 If you look at my vision board at the top of the post, you will see that I was planning on purchasing a new desk for the makeover. 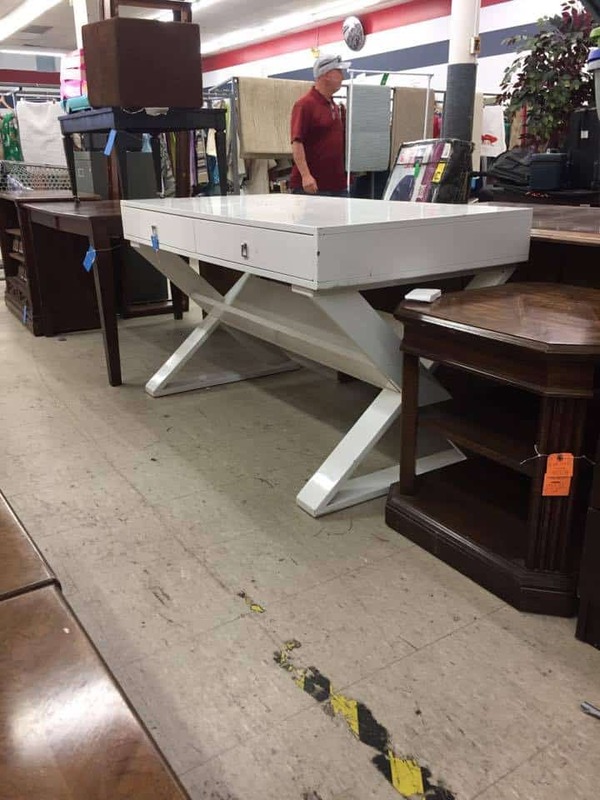 I could not believe that I found the exact desk that I wanted at my favorite Thrift Store. This desk has a Z Gallerie sticker on it and it sales for $599.00 and I paid $36 for it. I would be foolish to pass this desk up. I made a desk with my existing file cabinets by adding a board to the top. This new top gives us so much workspace. I spray painted a thrifted phone with metallic gold paint and I have gotten a few laughs at the teenagers here trying to figure out how to dial a phone number. I already had this gallery wall ledge and I repainted the frames and changed out the art. I added a chair to the corner of the room that I found at HomeGoods. I have saved the best for last so let’s talk about the star of the office. I saved a lot of money with that thrifted Z Gallerie desk so I splurged on my light fixture! My husband is in the commercial lighting business so I knew he would want a beautiful and well made light fixture. 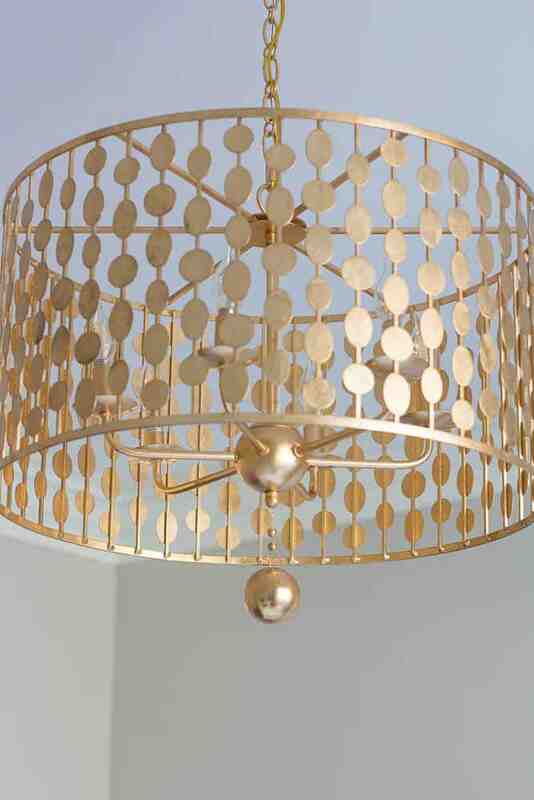 We found this beauty on the Inline Lighting website and I was in love with it immediately but when it was delivered and I opened the box, it was even prettier than I expected. It has a beautiful gold leaf finish that is just stunning! I spray painted a garden stool from a thrift store with gold spray paint. I could not find a gold stapler but spray paint did wonders for the stapler I already had. Do not forget to visit all of the other participant’s room because I know that you will be blown away! Absolutely beautiful. I love how fresh and feminine it all looks. Great makeover! Such a beautiful transformation!! 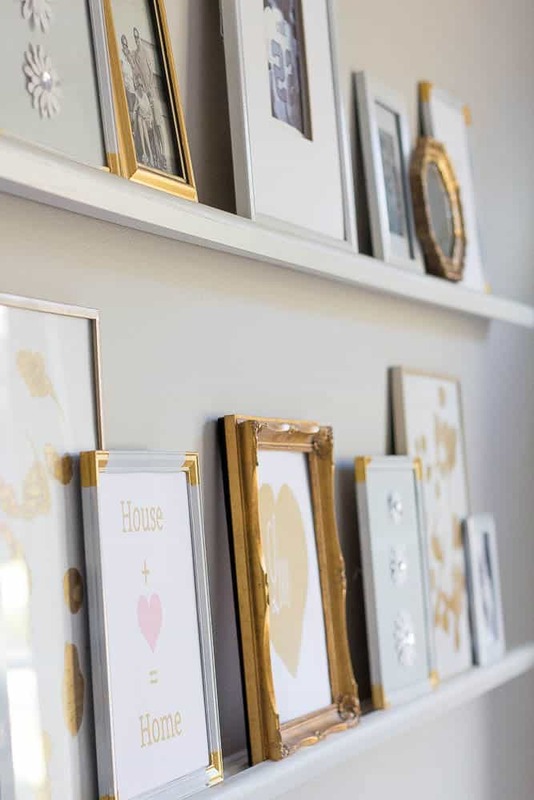 I am loving all the gold touches and diy wall! Beautiful space! So bright and pretty! Love your lattice wall! I LOVE how this turned out! 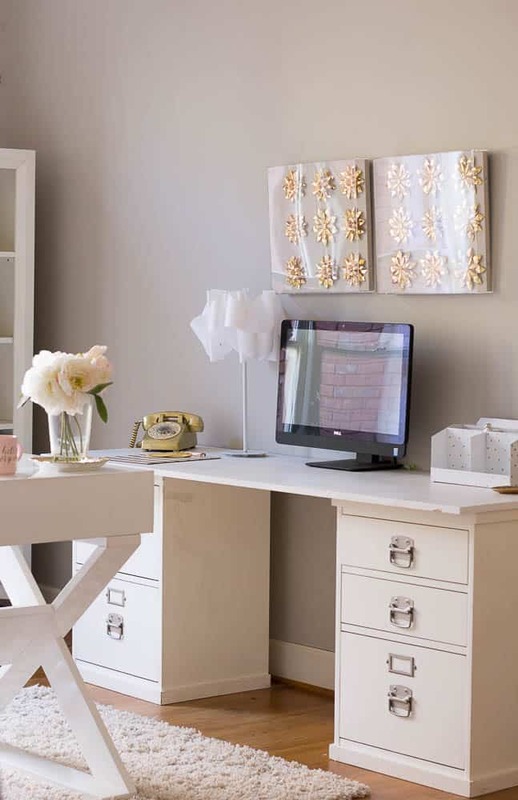 It would inspire me to actually get work done if my work space was this beautiful! Nicely done! You created such a striking room! 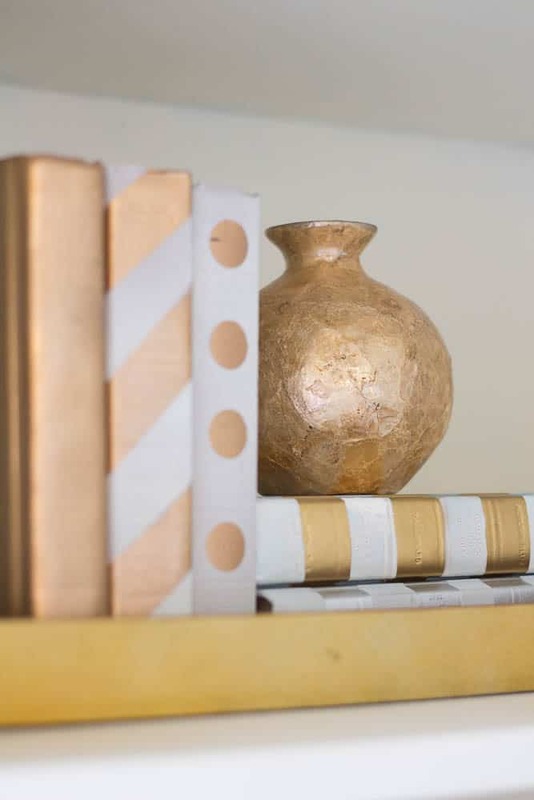 That washi tape wall treatment is a genius idea! Sherry this room is so GLAM!!! That chandi is gorgeous and I just love how you tied everything together with the gold accents everywhere. Such a bright and inspiring place to work in. And what a steal on that desk….the decor gods were smiling down on you that day 😉 Congratulations on finishing your new office!!! This is my first time visiting! Found you through the ORC link up! What an amazing reveal. 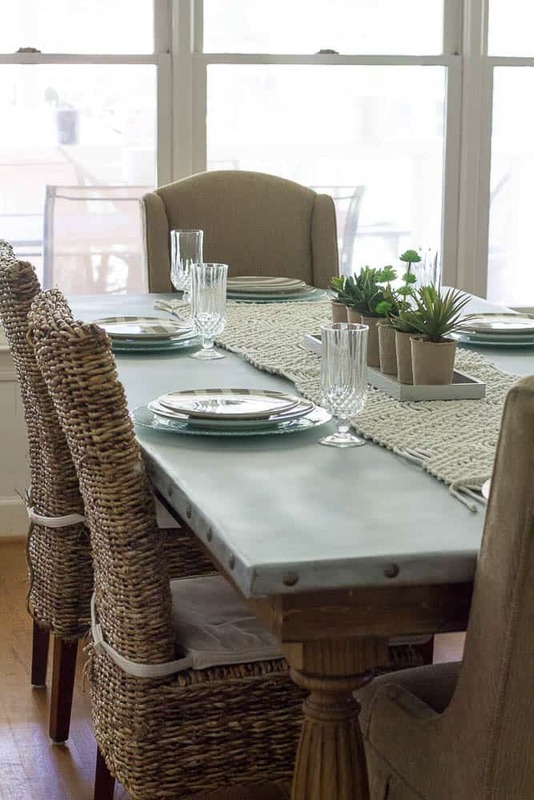 I love the creativity and cost effective elements within your space. 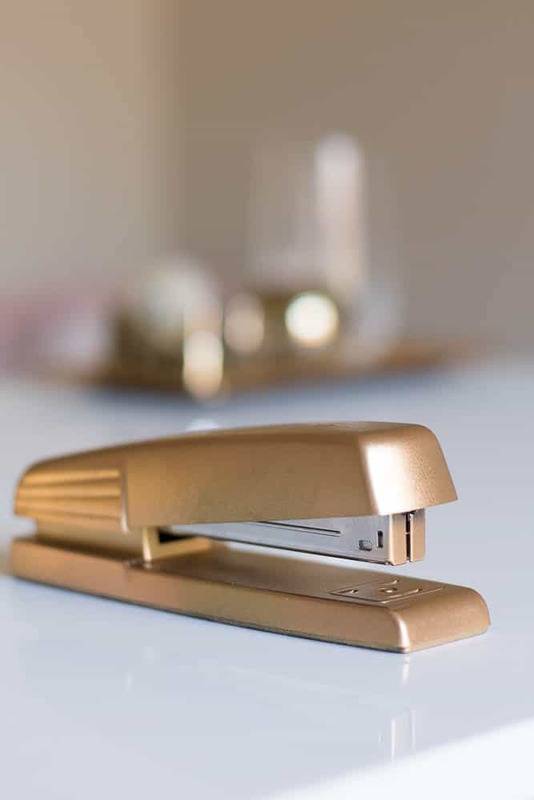 You couldnt find a gold stapler so you sprayed one?? YES!!!! Love that! A girl after my own heart! That DIY accent wall is also extraordinary! Pinning it right now!! You did an amazing job on your office transformation. That light fixture is certainly a show stopper and really ups the glam factor of your office. I am still crushing on your tape accent wall and now I am thinking I might do something similar in my daughter’s room. Wall paper scares me so much that tape might just be the answer. This looks so lovely! The wall with the tape, brilliant! And the touch of blush in the chair with the beautiful gold touches, perfect compliments. And I really love the shelves with the mixed frames. Fabulous job!! This is so beautiful! That chandelier is gorgeous, but I’m also loving that huge, white desk. I would never want to leave my office. An amazing ORC project-way to go! The white and gold is so glamorous! I would love to work in this space! That wall treatment is so cool, I need to try it! 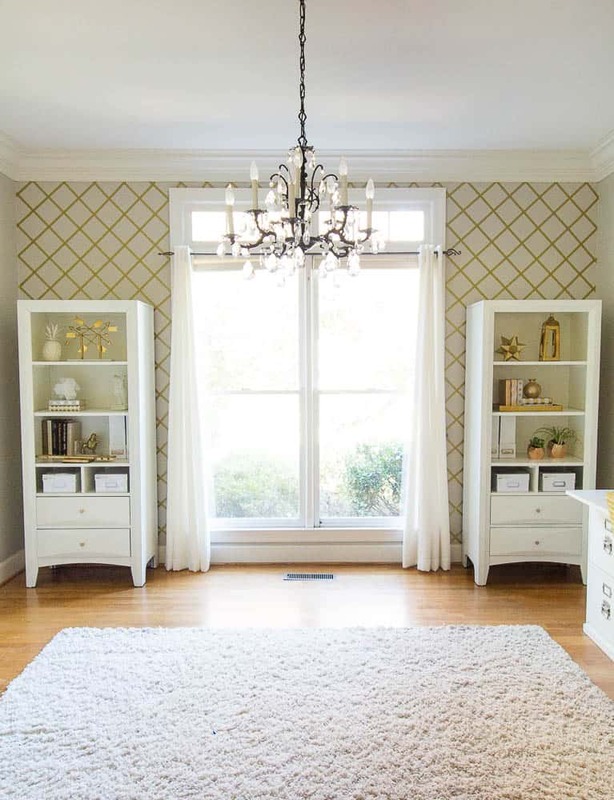 Such a pretty room, can’t go wrong with GOLD! 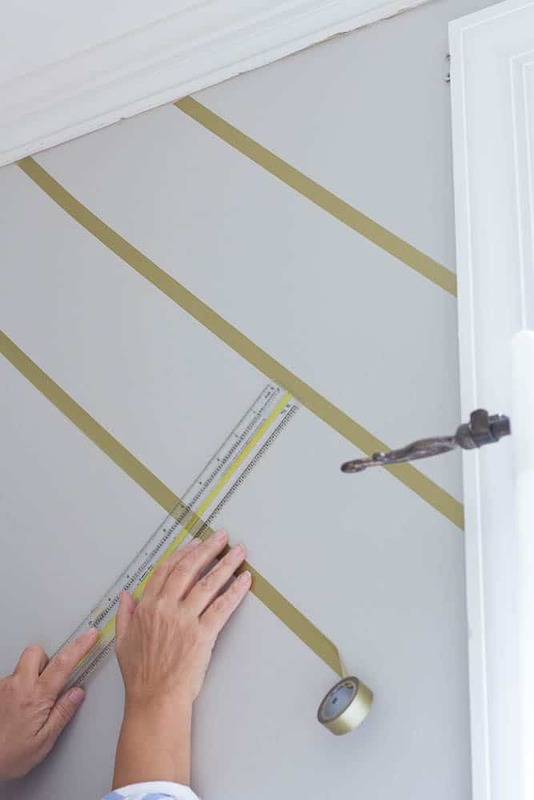 I can’t believe the wall paper is tape, that is a really great idea and it looks awesome. Wonderful job! Outstanding! Such a sophisticated put together office. I love all the gold and the chandy is fabulous! 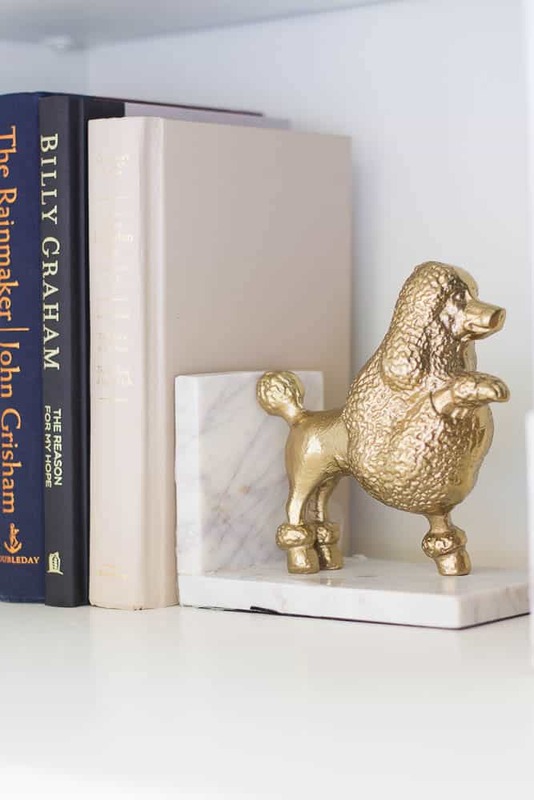 I am also partial to the poodle bookend- how fun! Well done my friend. Oh my friend, are you still pinching yourself? It turned out so lovely and elegant. I can’t decide my favorite element…that oh so perfect light fixture or that desk (that I still can’t believe you found at a thrift store or that you recovered that desk chair with a thrifted coat! You rocked it my friend. Sherry, You office space is amazing! Between the great deal you got on the desk and that lighting fixture, I have to say those have got to be my favorites in the room, but everything you did just turned out beautiful. I sure which I had an office like yours! 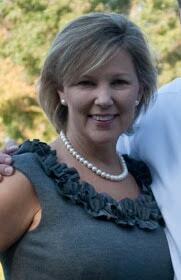 Wow Sherry, your office is so beautiful! I love that scored so big on the thrift store desk, lucky girl. 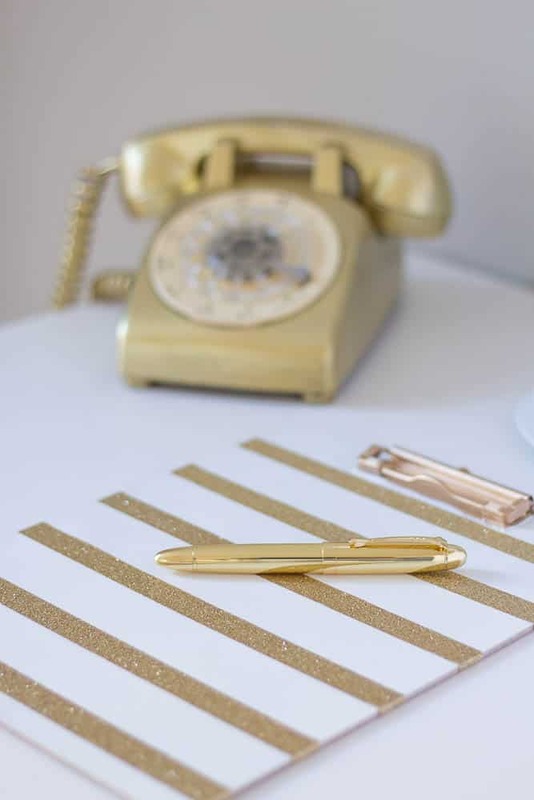 All the touches are beautiful, the “wallpaper” the gold pops around the room, that old phone. It all came together to be a lovely space and one I know you will enjoy for a very long time. What a beautiful job! 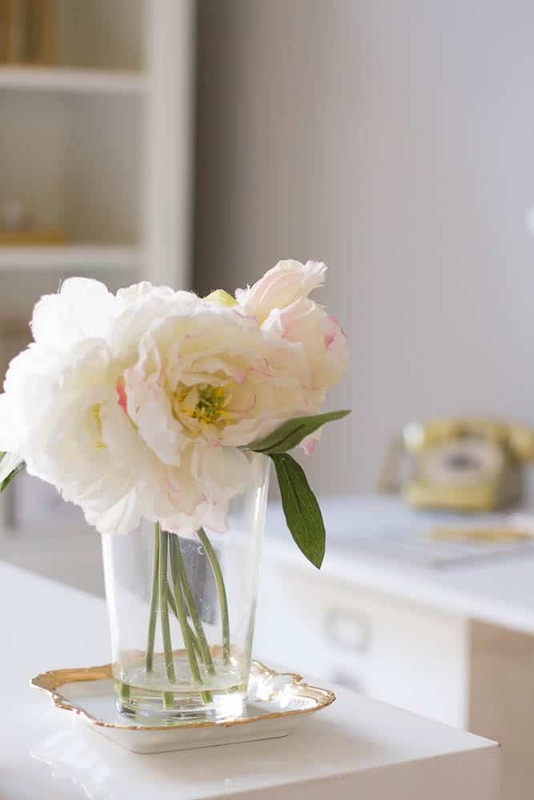 I love that you did so many affordable DIYs and yet it look!